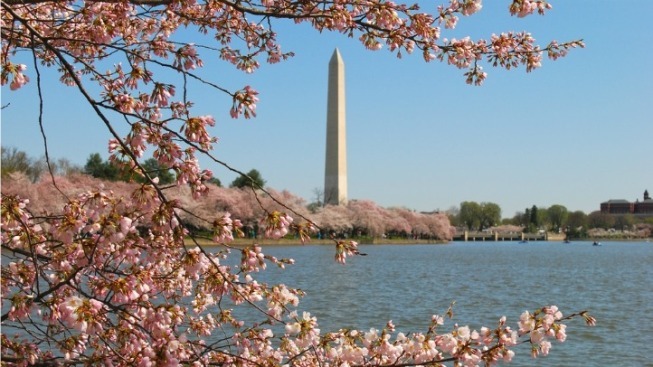 The blossoms are already in full swing, but the five-week National Cherry Blossom Festival officially kicked off Tuesday, running through April 27. Tuesday's Pink Tie Party -- at $200 per ticket -- helps to support the event and keep many events free. That sold out early, though (and did we mention the $200 per ticket? Oh, yes we did). Wednesday, March 21-Sunday, April 1:Shen Yun: Reviving 5,000 Years of Civilization comes to the Kennedy Center (2700 F St. NW). Take in a mesmerizing, world-class production featuring 100 dancers, singers, musicians and actors as they showcase a story rooted in traditional Chinese culture. 7:30 p.m.; $50-$250. Through July: The Freer and Sackler Galleries host three notable exhibits, including Masters of Mercy (paintings depicting "miraculous interventions and superhuman activities" of the 500 disciples of the Buddha); a famous series of woodblock prints, and Colorful Realm (bird-and-flower paintings by Itō Jakuchū). Check specific dates here; free. Thursday, March 22:Hanami, Art of the Cherry Blossom offers a look at the cherry blossoms in the estate's gardens before you head inside to enjoy Asian-themed food, accompanied by a special Hanami Rum Fizz at Tudor Place (1644 31st St. NW). Inside the mansion, check out a classic late-19th century cherry blossom vase and a publication on Japanese design. 6-8 p.m.; $15. Saturday-Sunday, March 24-25: Family Days at the National Building Museum(401 F St. NW) offer hands-on craft and design activities, performances by taiko drummers, and characters including Snoopy, the Lorax and more. The U.S. Postal Service will introduce the Cherry Blossom Centennial Forever stamps during the event. Sat. 10 a.m.-4:30 p.m.; Sun. 11 a.m.-3:30 p.m.; free. Sunday, March 25: The opening ceremony features performances from Sara Bareilles, the Children's Ballet of Washington, and Japanese artist MISIA, among others. For the first time, it'll be held at the Washington Convention Center (801 Mt. Vernon Place NW). 3:30 p.m. doors; event runs 5-6:30 p.m. Free admission but advance ticketing is required. Sunday, March 31: The Blossom Kite Festival returns to the National Mall, kicking off with the first launch of the Centennial Blossom Kite Arch. You'll find demos, a hot tricks showdown, kite battles, and opps to create your own kite. 10:30-4:30 p.m.; free. Saturday, April 7: The Southwest Waterfront Fireworks Festival offers live music, kid-friendly activities, and food and drinks from neighborhood vendors... and of course, fireworks will light up the night. Bring blankets or lawn chairs for a comfy viewing experience. You'll find it at 600-900 Water St. SW. 1-9 p.m.; free. Saturday, April 14 is a big day. First, the National Cherry Blossom Festival Parade will feature giant cherry blossom balloons, floats, marching bands and performers. Katie Couric, Alex Trebec and Leon Harris will serve as announcers, and celeb marshals will include Kristy Yamaguchi and the 2011 winner of "The Voice," Javier Colon. Catch it on Constitution Avenue between 7th and 17th streets NW. 10 a.m.-12:30 p.m.; $20/person for grandstand seating; free along the parade route. Following the parade, the Sakura Matsuri Japanese Street Festival will offer food, arts and merchandise vendors, traditional Japanese and J-pop performances, and martial arts demos. It's the largest Japanese cultural festival in the United States. You'll find it around 12th Street and Pennsylvania Avenue NW. 11 a.m.-6 p.m.; $5 admission for those age 13+; kids 12 and younger are free.